There's fly fishing in freshwater, saltwater, and then there's Hawaii. It's a different game altogether. When making the switch from a trout stream to a flat the visuals can be overwhelming. 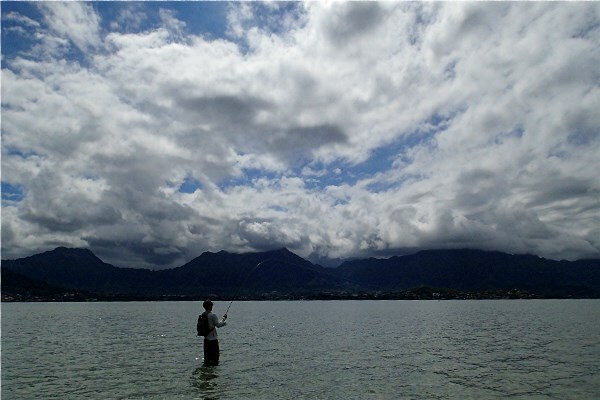 Before moving to Hawaii I knew I would be sight fishing, but I really had no idea just how visually stimulating it would be. In fact, that is what I was least prepared for (along with everything else under the sun). Upon meeting Sean he had told me "the first bonefish you catch will be much closer than you'd think" and that was an understatement. My first fish was hooked less than 6ft off the end of my rod tip. 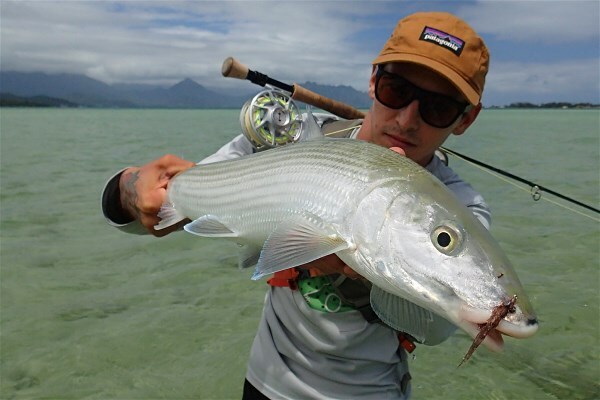 More often than not the 8 pound bonefish you casted at will be close enough to see the expression on its face as it gives your fly the middle finger and swims away and leaves your heart racing while you scratch your head. Something I quickly found myself addicted to. 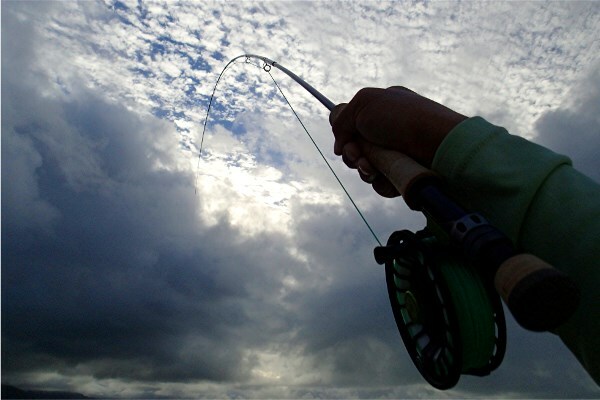 There are a lot of moving parts that come into play when attempting to catch a fish on the fly. The difference in Hawaii being your window for opportunity is much smaller. Whether you're sight fishing a brown trout or just reading the water of your local stream, you have ample time to select a fly, adjust your position for the best cast or simply take a moment to observe the fish's behavior. That's not the case for bonefish. From the moment you see the fish cruising by, your window to deliver the fly properly begins to close quickly and before you know it the fish has passed you by or has seen you and is heading in the other direction at lightning speed. Another important piece to the puzzle is observing and understanding the tides and weather. Coming from the Midwest the only thing I was ever concerned with were the conditions of a river and constantly watching the flows fluctuate. If I had time to fish, I would fish. It didn't matter if it was -5�F or a torrential downpour, as long as the river wasn't in a flood stage. Living in Hawaii I began to constantly read the tide charts daily regardless of if I were fishing or not. Being able to try and predict when and where the fish will be and how aggressive they will be feeding due to the type of tide plays a huge part in what days I choose to fish. Sunshine is also something that makes the game a whole lot easier. In the past few months I have spent more time staring up at the sky watching the movement of the clouds than in my previous 28 years on the mainland. Wondering which direction they're going, how fast they're moving, even the different types of clouds and what type of visibility you will have with them. Even now as I am back in Alaska guiding for the summer I still find myself looking up into the sky watching the sun peek in and out of the clouds. Although vastly different, you can read a flat just like you can read a river. You can walk around the sand all day and never see a sign of life. For me this was not the easiest adjustment because it all looked relatively the same to me. 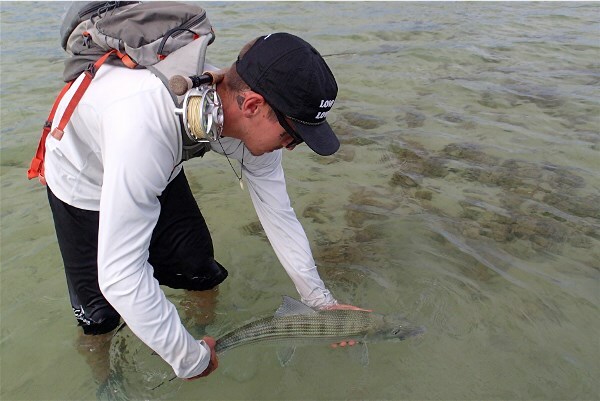 Knowing where to search during different conditions will increase your shots at bonefish drastically. 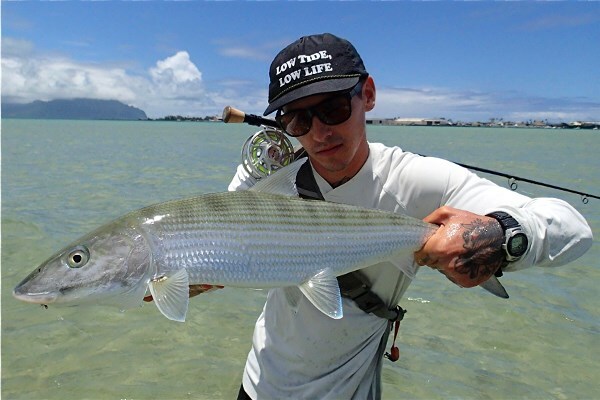 I consider myself a competent angler, but I was met with a great deal of frustration with my arrival on Oahu and taking my first go at bonefish. I heard a lot of "it's only bonefish" and "it's only as hard as you make it". Two sentences I understand much more now. But for the first few months on the island I just couldn't quite put my thumb on it. I could cast just fine, I was throwing perfectly good flies, I walked softly, and I could spot fish, but still I couldn't seal the deal. Looking back I think about the blown shots I've had and the fish that have snubbed me and I have a much better understanding. If you have all the above mentioned parts dialed in, you're close to solving the puzzle and hooking fish. 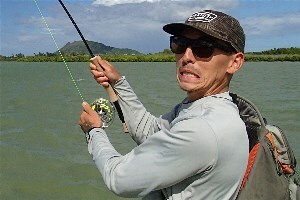 In my opinion the last piece is 50% mental and 50% what you do with your fly once it's in front of a bonefish. It's easy to know when to set the hook when you see a strike indicator dive under water, or a trout sip your fly off the surface. 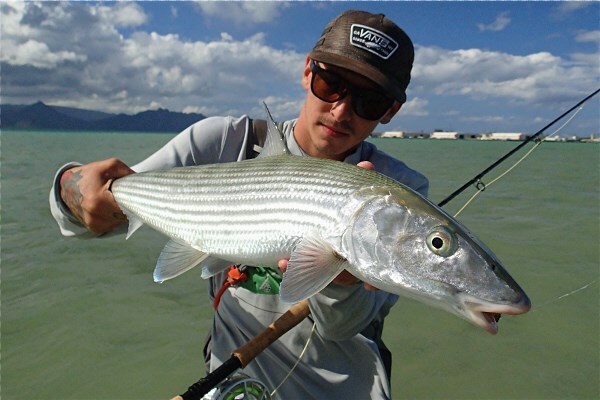 It is far more difficult to be patient and wait to see the subtle eat of a picky bonefish when your adrenaline is pumping. Although I would stare at the fish as it approached my fly, in all the excitement I wasn't able to notice the small movements I now (sometimes) recognize as an eat. It is a low speed and high speed game all in one package making it incredibly unique. You will walk slow and stalk fish, when your opportunity for a shot appears you have a split second to put the fly where it needs to be. Slowly presenting your fly patiently waiting for the fish to inhale your fly, only to have spit it out before you even had time to react. But if you do get tight to that fish your line will be ripped from your hands as your reel screams into the backing like no freshwater fish could ever do.